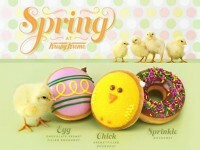 This year’s Krispy Kreme donuts take a different twist from the traditional Ghost or Pumpkin donut. 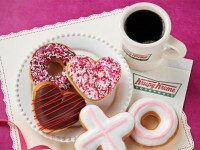 This year, Krispy Kreme has introduced Monster Donuts. 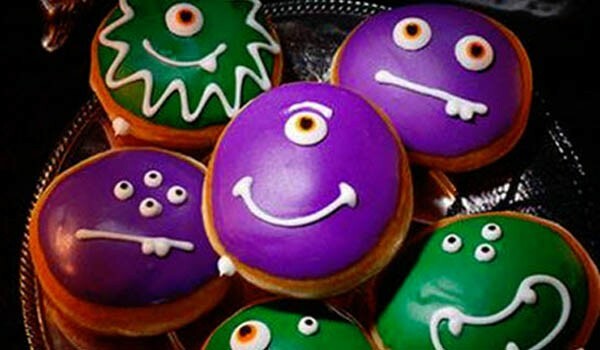 The Monster Donut is a yeast donut filled with Kreme and dipped in either green or purple icing and decorated with white icing to create various monster faces. You can still get the traditional jack-o-lantern or spider web donuts from last year, but these new donuts bring a bit of variety to the menu. 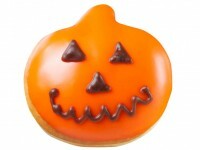 You can order any of the Halloween donuts from the assorted donut menu through October 31, 2015.